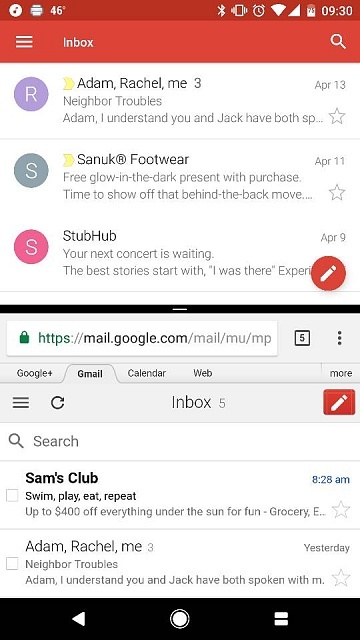 Google Pixel: is there a way to split screen within the same app in particular gmail? I want to be able to draft an email while looking at another email in the inbox. Not currently. You could use the same account in Inbox by Gmail and Gmail and then use two apps. The only way I've been able to do it is through chrome. Just open two tabs of Gmail and it seems to work fine. You can do one window with the gmail app and one window with chrome. What are you truly excited about regarding the S8 plus?